If you’re buying a home in Florida, you may be wondering what to expect when you hire a home inspector. What issues are you likely to come across when buying a home in Florida? In this article, we’ll discuss a few of the most common findings. A wet foundation or crawlspace indicates drainage issues, particularly if there is standing water. A sump pump or venting system may be required, or there may be a drainage and grading issue that is causing water to build up on the property. Plumbing issues can vary from minor problems, like leaky faucets, slow or clogged drains, and water pressure problems, to serious issues, like damaged or cracked pipes, faulty water heaters, and sewer pipe blockages or damage that could cost thousands of dollars to fix. Due to the hot, humid climate in Florida, HVAC issues like corrosion or damage to evaporator coils is common. And because A/C units must be used for most months of the year, they tend to wear out more quickly, which can be a concern for home buyers. Conversely, the warm climate means furnaces are underused, which means they could be poorly-maintained or have serious, but unnoticed issues like a cracked heat exchanger. Structural issues can be a major concern if a home is built in a wet area, and the soil dynamics are unstable. This can be indicated by foundation settling, cracks or damage in the ceiling and walls, and broken or damaged frame timbers. Serious structural issues should be a red flag – it’s likely that they will cost tens of thousands of dollars to fix. Some older Florida homes may have outdated “knob-and-tube” wiring, or may otherwise have wiring that is not up to code, due to improper sizing for circuit breakers, non-grounded connections, or wiring damage caused by corrosion or moisture. Roof damage is, unfortunately, quite common in Florida, due to intense hurricanes, thunderstorms, and windstorms which can destroy shingles and roof structures. While some minor damage to shingles may not be a big issue, more serious damage could indicate that moisture has reached the inside of the home, causing serious damage to internal structures like walls, drywall, wiring and more. Doors and windows may be affected by rot if they are not properly installed and sealed. In turn, this can cause leaks and further damage to internal structures, as well as energy-efficiency problems, and difficulties operating the door or window correctly, due to wood expansion. Know What To Expect From A Florida Home Inspection! Major concerns in Florida home inspections are much the same as they are in other states, but the added humidity, and the hot, moist climate do affect the prevalence of some major issues.  If you’d like to learn more about what to expect, you can contact Bless This Nest Inspections now, or schedule your home inspection on our website right away.